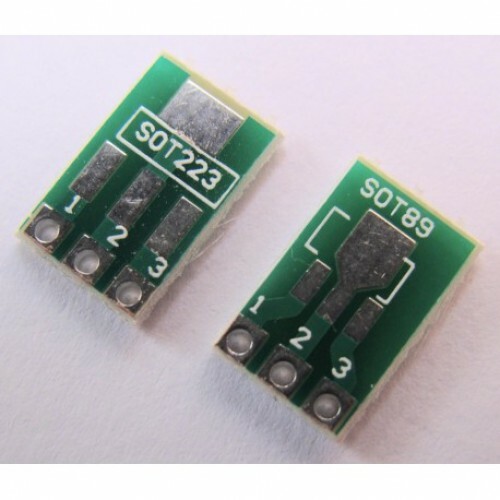 SMD PCB Adaptor / Breakout Board designed to convert SOT223 and SOT89 packages to a 3-pin 0.1″ through-hole Single-In-Line.It Converts SMD packages to standard SIP3 1.5mm / 2.3mm pitch. SMD Top: 3-pin SOT223 2.3mm pitch. SMD Bottom: 3-pin SOT89 1.5mm pitch.